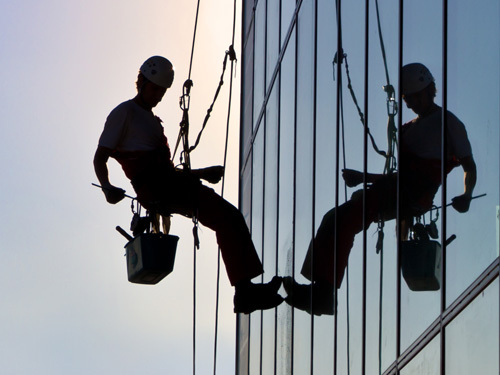 We are certified and insured for window cleaning on large scale, commercial buildings. We use pure water so your windows stay cleaner longer. Lift and rappel work is available. Count on our highly experienced professionals to provide you with exceptional service, a competitive estimate, thorough inspection, and cleaning services that are effective and lasting. Your windows stay clean longer when cleaned with pure water. Without any soapy residue left behind for dirt to cling to, your windows stay cleaner up to 25% longer! Plus, there are zero chemicals so it's eco-friendly. 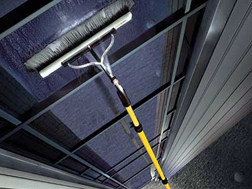 First, the dirt on your windows is loosened using a window cleaning brush. Then the window is thoroughly rinsed, flushing away all the dirt. The purified water is then left to dry, leaving your windows spotless! Tap water contains minerals and contaminates that leave spots when the water evaporates. Our pure water technology filters the water down to zero parts per million, leaving nothing behind but clean windows. 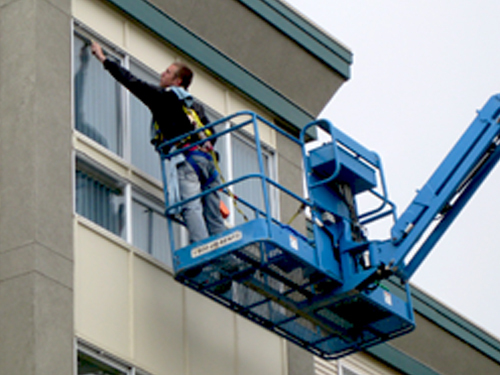 "Rick and his crew have been providing window cleaning services for our condo association for the past few years. 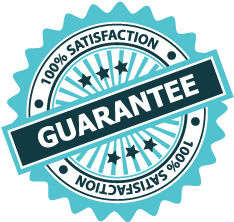 They not only do an excellent job they always arrive and complete their work when promised without follow up. 15:58 EC gets our highest ratings for both quality and reliability!" "15:58 EC did an outstanding job on our windows. Providing privacy for our guests is very important to us, and it didn't take long to see that they were only interested in cleaning the windows. Very trustworthy!" "For the past few years, we have used 15:58 EC on all of our apartment complexes and commercial buildings. We couldn't be happier with the quality of work and professionalism that Rick and his crew provide. If you think you need a large company to handle your jobs, think again. 15:58 EC has the right equipment and knowledge to handle it all!" "After years of window cleaning service, the quality is the same as it was the first day. 15:58 EC is miles ahead of their competition!"